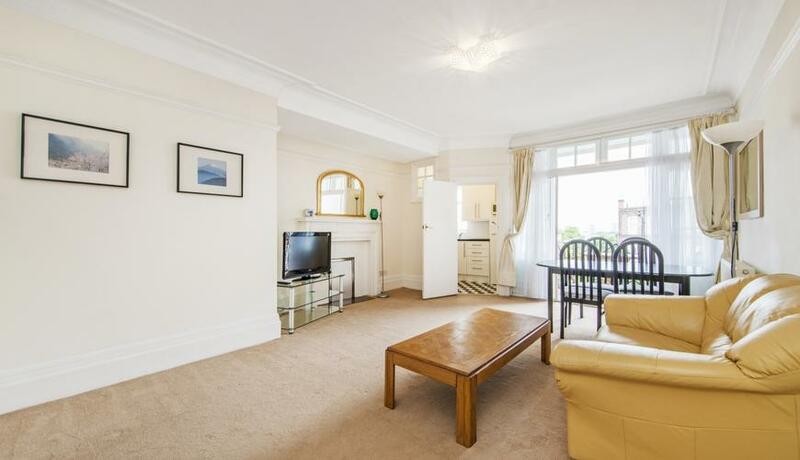 A very spacious one double bedroom furnished apartment with a private balcony situated on the fifth floor of this sought after secure portered building moments from St Johns Wood High Street. The property briefly comprises: communal ground floor entrance with porter desk, lift service and stair case to the fifth floor, private spacious entrance hallway which could be used a study area with two large built in cupboards including a utility cupboard housing a washing machine, bright and spacious reception dining room with a private west facing balcony overlooking the communal garden, separate fitted kitchen with appliances including electric oven & hob, dishwasher and fridge freezer, large double bedroom with bespoke fitted wardrobes, clean and contemporary full size bathroom with power shower over the bathtub, gas central heating and the rental is inclusive of some hot water charges. Grove Court is a desirable period building close to Regents Park, Little Venice and Lords Cricket Ground.